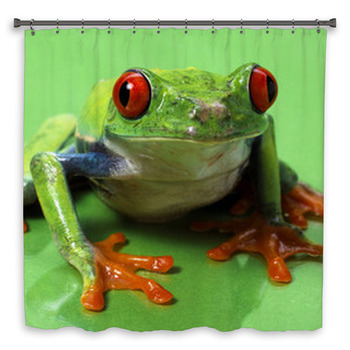 Get hopping in the morning with custom frog shower curtains. 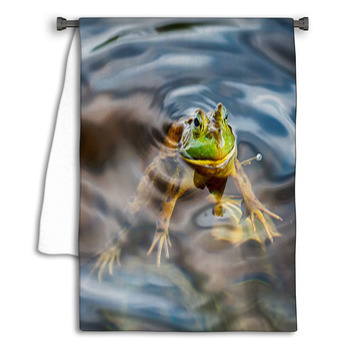 Put the beautiful emerald green of a common tree frog in a liquid pond of gray and brown. 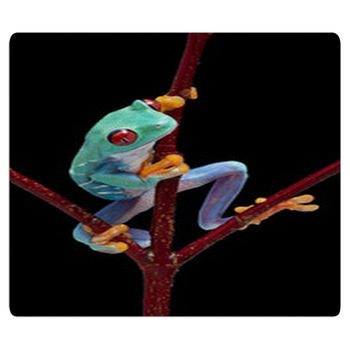 Flip a coin and see if there's any chance it wont be a beautiful day with blue skies and an orange umbrella in the sticky hands of a green frog. 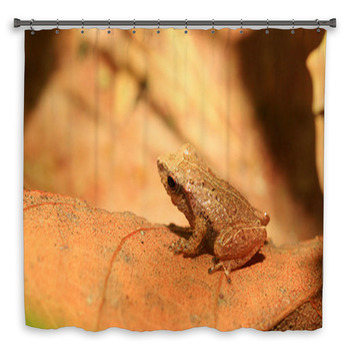 Leave a black frog crouched against the glowing olive of your custom shower curtain. 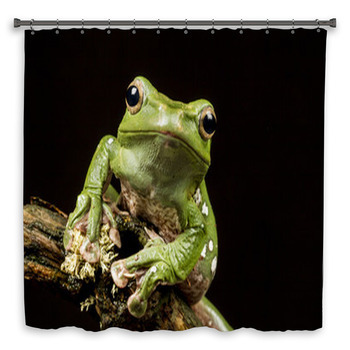 Please a little prince or princess with a coronation in the bathroom. 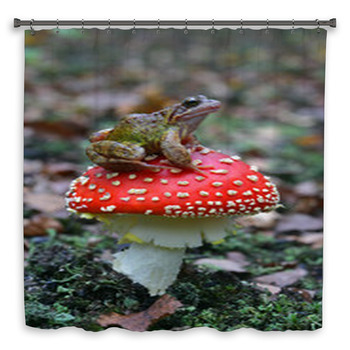 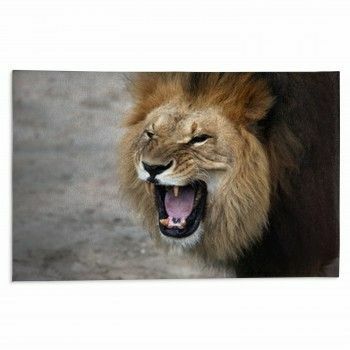 Plant a red kiss on the mossy face of a dazzled crowned frog ready to ascend the throne against royal purple. 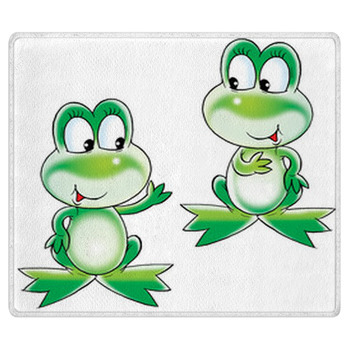 From little green frog candles on dark green lily pads against bright blue skies to leaps of turquoise-spotted lime from pad to pad on an aqua pond, let these frog themed designs put a spring in your step. 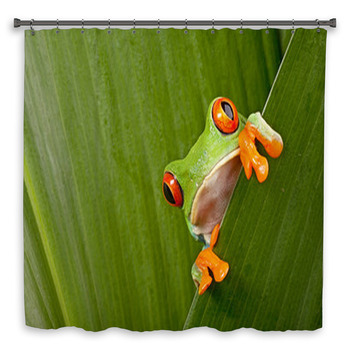 Give a frog some snorkeling gear and drop it into the tub on a custom shower curtain. 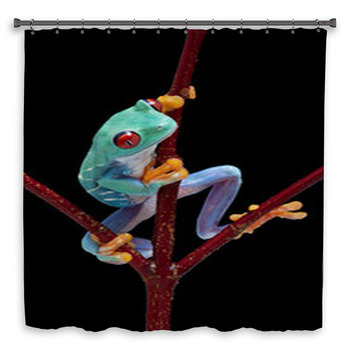 Leave a yellow toed tree frog gripping a shiny malachite rock against a fan of green on custom size towels. 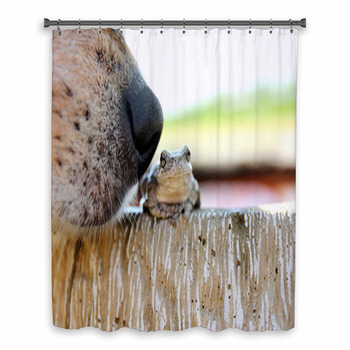 Let a jade green frog look on as a golden haired princess cools her hands in a stream of silver, her mustard dress reflected with sage forest and white blossoms in a dreamy frog bathroom walls. 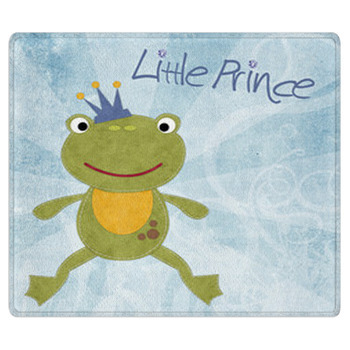 Put a tiny crown on a silver gray frog atop an ivory leaf in a green garden and leave it on your bathroom floor in a custom bath mat. 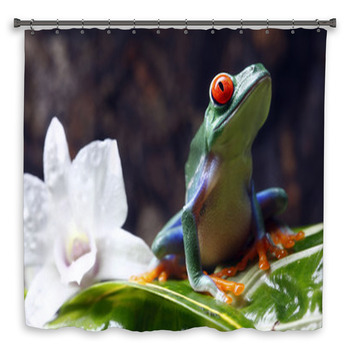 Bring fairy tale fantasy and Spring garden truth to your bathroom decor with custom frog designs.